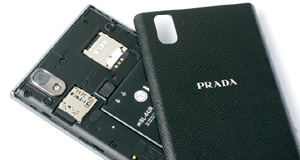 With intention seriously working on Fashion smartphone, makes LG unsparing launches Prada. Can luxury that were presented makes it a fashion enthusiast choice?Smartphones which targeting the fashion segment and fashion can be quite rare. LG has its own history for fashion phone. This is not their first time working with Prada. 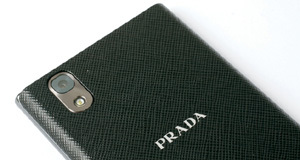 Collaboration between LG and Prada have established since 2007. At that time, LG released a phone licensed the Italian fashion house. Now, as a trend fashion world which constantly changing, LG also released the new. Smartphone distinctively fashion world was named LG Prada Phone 3.0. The design of this smartphone said to directly done by the maestro mode. Glance of this product looks normal. However, if observed closely, this smartphone exudes its own aura. The combination between Gorilla Glass, chrome metal casing, and the logo “PRADA” shiny (if exposed to light) gives luxurious impression. While rear is designed textured. It seemed impressed like leather wallet made in Prada while you carrying this smartphone. In addition to the exterior, the interior also specially designed. Interface alias user interface of this product dominated black background. While this smartphone icon as well as widget white. This combination is quite attractive so that the overall this smartphone unique and has its own characteristics. Only, the icon is just limited to the application. Meanwhile, if we install another application from Market, these application still would appear default icon. However, all the Google applications including Market, appeared with the default icons. Although the main points from Prada Phone is the design of its design, does not mean less attention in terms of its specifications. For the screens, LG uses IPS panel type measuring 4.3 inches which also have adopted the technology NOVA’s LG Display. However, unlike previous NOVA Display, on Prada phone, the screen has a brightness level of up to 830 nits. With this bright screen, you’ll have no trouble when using it outdoors in the sun. 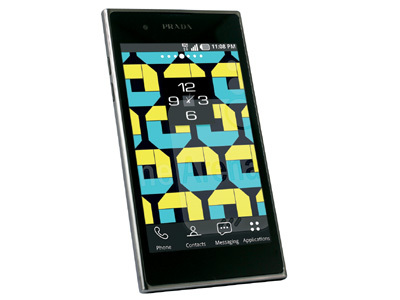 While in terms of performance, the Prada Phone using a TI OMAP 4430 with dual-core processor and GPU PowerVR SGX 540. This component similar those used by the LG Optimus 3D. Although not the latest SoC, OMAP 4430 still powerful for today’s application included. And like the Optimus 3D, we were amazed to multimedia capabilities. This product able to play almost any multimedia format. Interestingly, the Prada Phone even able to play the video format. TS (MPEG-2) and full-HD resolution. Prada Phone has a main camera with a 8 megapixels resolution. Interestingly, the camera button located at top of the smartphone along with the power/standby. And more interesting, when activating the camera with this key, an active camera is front camera not the primary camera/rear. This seems intended for those who want to check appearance before who like to shoot itself. The main camera have a good quality including at conditions of day / light. While for dim conditions, noise which seem quite disturbing. Collaboration between LG and Prada producing attractive smartphone in terms of looks with good performance. Unfortunately, if you want to have it, you have to spend quite deep. This is because such appearances, the price is premium considered. 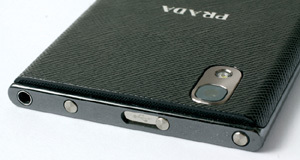 LG Prada uses the same SoC with Optimus 3D. But the test results Prada look excellent slightly. The amount of main memory capacity doubles has helped Prada gain performance and a better score. But these advantages are not significant so that the overall performance of both is practically similar. rear body Cap designed textured. In addition to beautify design, This cap also strengthen grip. equipped camera 8-megapixel Resolution with a LED flash has pretty good quality. The top of the smartphone crowded by buttons, micro-USB port and stereo mini-jack port. Plus: exclusive design, excellent screen, powerful multimedia capabilities. Minus: Shortcut keys on camera less helpful, expensive.